 Nonprofits that work with the Whitefish Community Foundation in any of our program areas are able to use the Community Foundation as a knowledge base to receive assistance with bookkeeping questions, accounting advice, and endowment development assistance. Do not hesitate to contact us with your questions. Nonprofits work with Whitefish Community Foundation to create and build Permanent Endowment for long term sustainable funding. The Community Foundation works with donors to take advantage of the Montana Endowment Tax Credit that helps build endowments. Contact us for more information. The Great Fish Community Challenge is just one way Whitefish Community Foundation helps nonprofits with community outreach capacity building, and fundraising. Through this innovative campaign, nonprofits are offered a matching grant in addition to funds raised through the Challenge. Participation in the Challenge is by application. Click Here for more information. Interested in Nonprofit Board Development Training? We understand the importance of ensuring that appropriate governance practices are established and board members are aware of their responsibilities. 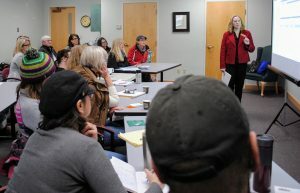 We offer a personalized training opportunity to help local nonprofits develop an effective board orientation, free for nonprofits with no paid staff and on a sliding scale for nonprofits with paid staff. Contact us to set up your training. 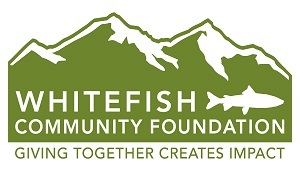 The Whitefish Community Foundation is a resource for nonprofits. We provide several programs to help nonprofits improve their bookkeeping, governance, and community outreach programs. 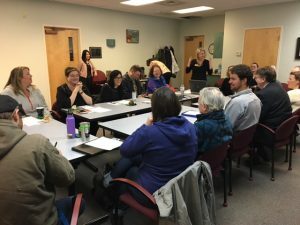 Regular Nonprofit Breakfast Trainings allow nonprofit executives, staff, and board to come together to ask questions, brainstorm issues, and gain valuable insight on policies and procedures.